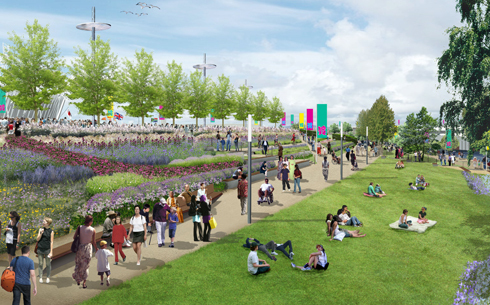 The Olympic Delivery authority have released a treasure trove of documents about the improvement to pedestrian and cycle schemes. The 60-odd documents can be found online here and were released in response to my FOI request using What Do They Know. I haven’t had time to plough through them all yet but wanted to publish the documents to feed the London networks of people who campaign for better cycle and pedestrian facilities. If anyone finds anything interesting in there please add a comment or track back to this post. I’ll plough through them too. Some of the cost numbers are eye-watering. I used a simple FOI technique here – TfL is the main subject of my interest, but I knew that FOI-ing them would lead to a slow response, if at all. When making an FOI request it’s always worth identifying other bodies than your main target who are correspondents with the target body. And then FOI them instead. I first used this technique to achieve a little transparency around Network Rail who aren’t subject to FOI by putting a request to DfT for their correspondence with NR. In this case the ODA was involved in the Kings Cross improvements (as the TfL leaflet boasted) so I asked them. The ODA sent me a CD of documents, which i uploaded to GoogleDocs. This entry was posted in Road Safety in Kings Cross. Bookmark the permalink.